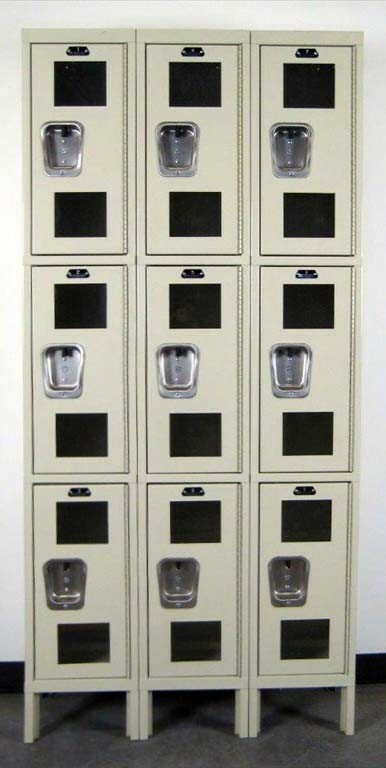 These Brand New Hallowell Lockers are available on www.buyusedlockers.com where they have a huge selection to choose from if we need additional supplies. 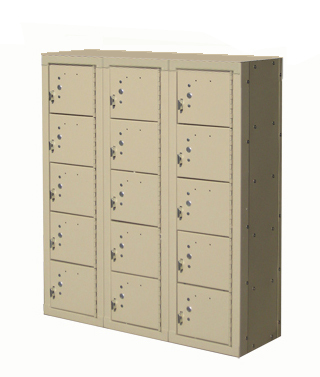 We have these 3-tier box style lockers are brand new but received some shipping damage and have been discounted accordingly. In spite of the cosmetic damge, they are still 100% functional. These normally sell upwards of $160.00 per column but have been discounted to $120.00 per column. Each compartment is 12" wide x 12" deep x 24" high and can be locked with a padlock or a built-in style locker lock which we also sell. These are priced to sell and will move quickly. Purchase yours today.